With over 200 breweries still running, you'll find there is so much to discover about Belgian beer. From white ale to bolder 'tripels' and 'quads', you can immerse yourself in a culture that has been defined by beer since Roman times. Belgium is full of interconnecting, traffic-free cycleways. These paths intersect all over the country, making cycling one of the most popular and easy ways to travel. Enjoy flat riding through the stunning countryside and the traditional towns along smooth, traffic-free tarmac roads. 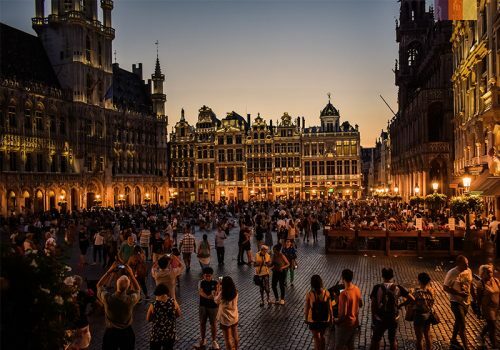 Belgium is home to beautiful cities and famous landmarks. You will visit the cities of Antwerp, Genk, Leuven each offering a new unique experience. Take some time to explore each city as you taste the beers that originated locally. Reach the city of Genk and you will be greeted by the friendly staff at your hotel, situated in the charming Molenvijver Park. 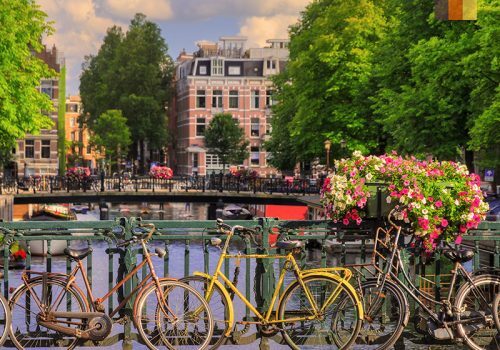 Depending on what time you arrive, enjoy spending the rest of the day exploring the local area and you will quickly get used to the delightful Flemish way of life. Leave Genk on the traffic free roads and head towards Bocholt, your first brewery stop, and quite a special one. As the largest beer brewery museum in Europe, you will get to observe the whole procedure from start to finish. Jump back on the bike to Beverbeekse Heide nature reserve and enjoy the expansive views. You’ll then move on to Achelse Kluis: St Benedict’s Abbey. Spend time in the gallery and shop and enjoy your time at one of the few places in the world where Trappist beer is still brewed. Enjoy a well earned Tripel in the sun before your final ride through Leenderbossen woods to the villages of Leende and Heeze. Explore Heeze Castle this evening and relax in beautiful surroundings. Ride in the Brabant Campine/Kempen region today where the woods are full of heather. If you’re visiting in August expect to see the heather in flower, a remarkable spectacle! As you ride back into Belgium, you will pass close to Postel Abbey, a brewery dating back to 1611. Spend some time relaxing in Arendonk before moving on to Turnhout where you will spend the night. This town is famous for its production of play cards, make sure to check out the museum! Today you will cycle past Merksplas. On arrival, we recommend you stop at the visitor’s centre where you can find out more about the former Merksplas-Kolonie corrective institution. Here, able-bodied beggars were taught to farm and work on the fields. This afternoon, you will ride through Oostmalle and Malle on the way to Westmalle. 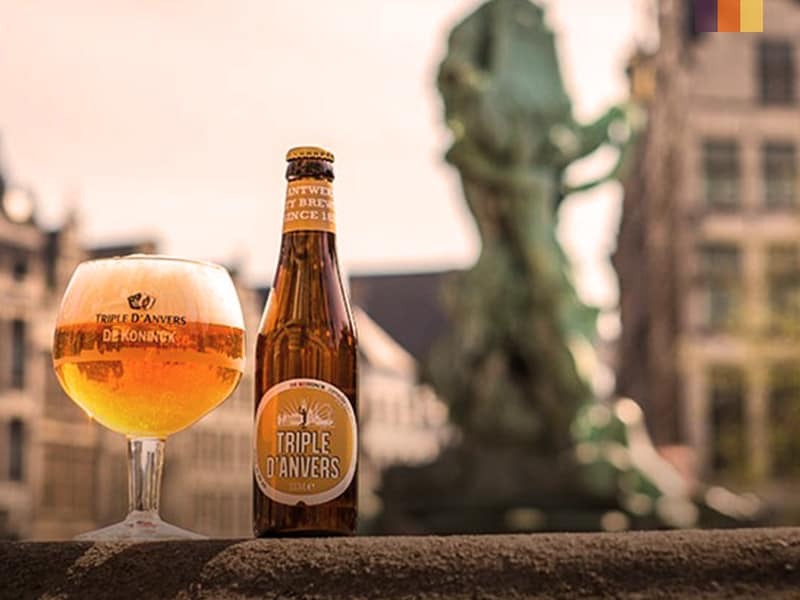 Taste the Trappist beer at the cafe opposite the abbey, this is one of our favourite spots places to try the beer. You’ll then enjoy the final stretch of the day into Antwerp where you’ll spend the night. The busy city of Antwerp will gradually merge into the vibrant green of the Flemish countryside. Those into Military history should check out Fort no. 4 in Mortsel, one of the original eight Brialmont Forts (1860-64) used to defend Antwerp. Continue cycling towards Leuven and you will come across the festival grounds of Rick Werchter, a famous Belgian festival that takes place each summer. Roll up and down the gentle slopes that guide you into Leuven, a picturesque University town. Spend the evening taking in the stunning architecture and enjoying the lively atmosphere. We recommend a walk through the quarter known as Groot Begijnhof, a beguinage. This is one of our favourite legs of the cycle. Move onto Tielt-Winge where you will find Vlooybergtoren, an illusioned viewpoint, we’ll let you discover this one for yourself! Continue on to Haksberg Castle which is surrounded by endless vineyards, a vibrant spectacle. The exciting day continues as you visit Belgium’s most important pilgrimage site, Scherpenheuvel. The end of the day will see you ride into Diest, a town with links to the Royal House of Orange. Toursts are yet to truly discover this town so take advantage of this during your visit. The courtyard is one of the oldest and most stunning in the Low Countries, a site you won’t want to miss. Follow the flowing RIver Demer which cuts through the town that you will soon fall in love with. The penultimate day of cycling will see you visit a number of spectacular spots. The flat roads will make for another gentle day on the bike, however, wait for the landscape to unfold on you and you will soon be breathless. Visit the Schulermeer lake before moving on to De Weijers known as ‘Land of 1001 ponds’. Next, visit Bokrijk and the remarkable open-air museum before facing a truly surreal experience, cycling along a path that runs straight through a natural lake for 200 meters. The water will be at eye level, making for an unforgettable ride. Belgium is one of the most charming places to cycle in Europe. 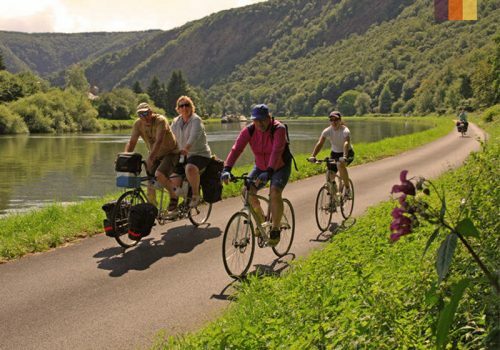 The country’s commitment to cycling ensures there are ample cycle paths and networks available for those looking to tour the lowlands. Link the famous cities and towns by following scenic river paths or secluded countryside lanes before discovering the cultural and architectural histories of Genk, Antwerp, Bruges and more. If you’re new to cycling or simply seeking relaxed rides with great rewards, this is the place for you.